Time and again I have been asked on my blog, why I crop my face from my pictures? I have always dodged this question, so I thought why not answer it in this post. 1) I am not good looking enough. 2) I don't have to worry about looking good while taking outfit pictures. No concealer, no lipstick... I chop my face anyways. Saves me a lot of efforts. 3) Cropping my face, creates a certain kind of mystery around me. The cropped face could that be of any angel with a halo, or a devil with horns. Who knows..? And now, if you think I am bordering into non-nonsensical stuff, cut the crap and scroll down to the pictures. 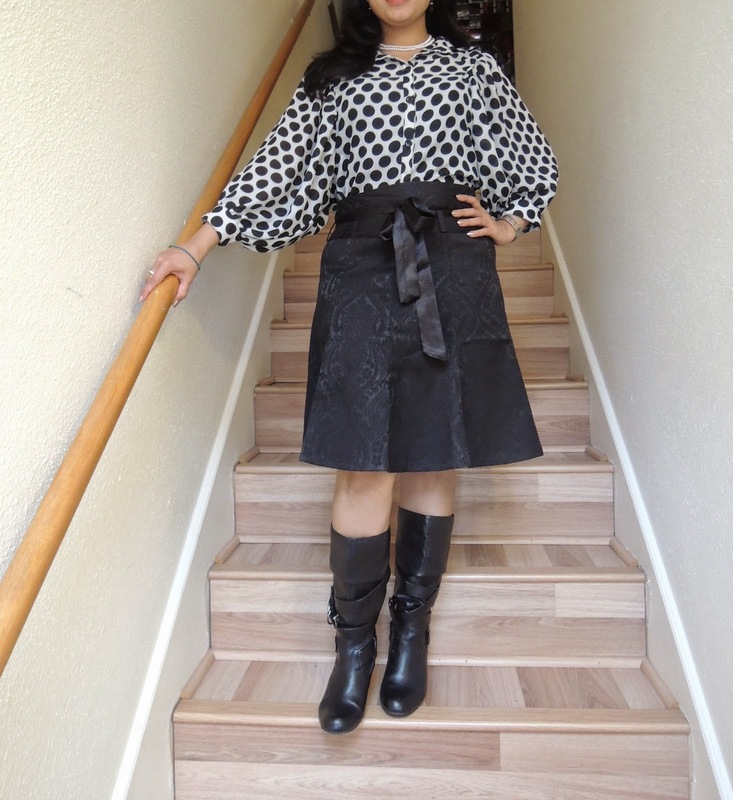 This polka dot top is one of the most used item in my wardrobe. 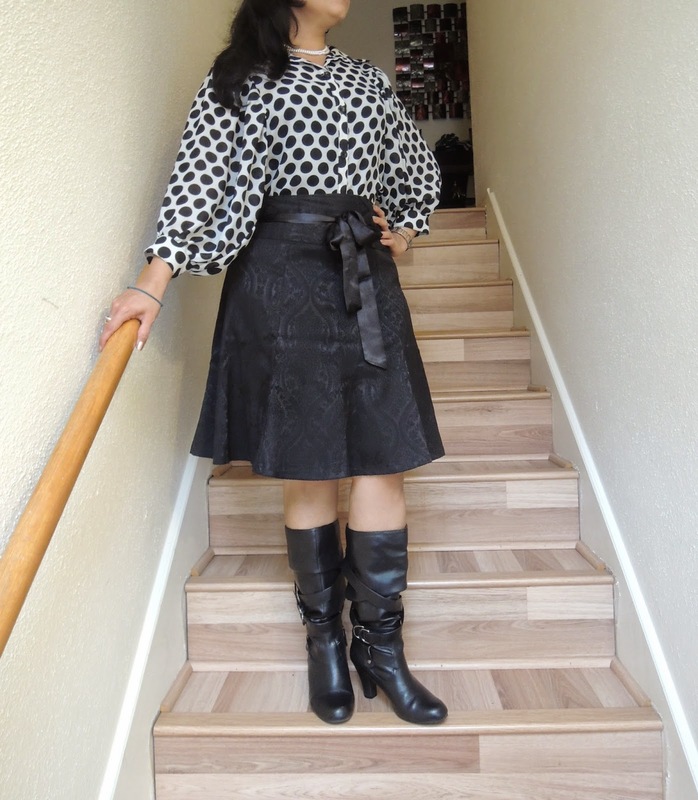 I teamed it up with a black brocade skirt and faux leather boots. The pearl necklace and the clutch complete the look. super girl, never thought that we could save up on that make-up, clever though. I love ur polka dot top!! pretty n mystery gal!! Very very cool! Love this. I am assuming this was taken when you were in the US? - you are not good looking??? :-O .. I have met you and know that you are lovely and photogenic! Okay, you can be angry at me or anything. But Aditi, I want to see your face. I do. I want you to smile and pose. i want you to know that you are beautiful. I don't care if you call me arrogant, I want you to be there. Someone like me would be really happy if you come out. You do not have to put on any make up. Be who you are.